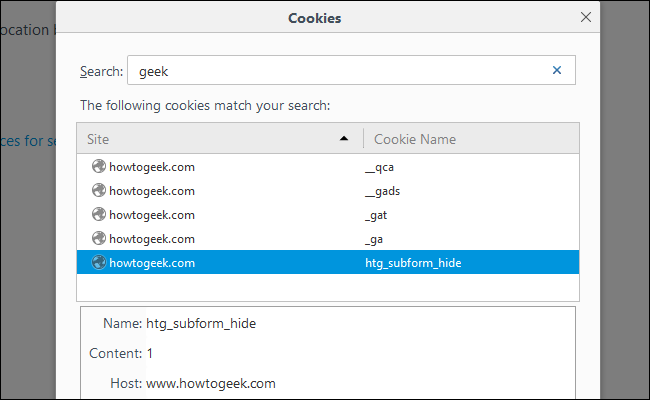 Websites can store small files called “cookies” on your computer to remember your preferences and login state. Cookies can also be used to track you across websites to better target ads. But think twice before you just disable them. Cookies do a lot more than just track you, and while clearing them is easy—and sometimes beneficial—doing so can make browsing the web more obnoxious. This is similar to the problem with clearing your cache. If you regularly clear your browser cache, your browsing will be slower. If you regularly clear your cookies, the web will be more annoying. You’ll see the same messages again that you’ve already cleared, and sites will keep asking you to log back in. Your browser usually has good reasons for storing cookies and other private data. Many websites are designed to show messages the first time you visit them. They set a cookie in your browser indicating you’ve seen the message and don’t want to see it again in the future. If you visit the website a second time, you won’t see the message. But, if you clear your cookies, the website won’t realize you’ve visited it and will show you the message again. 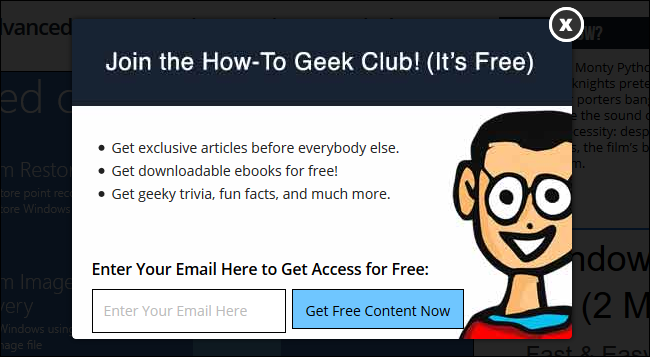 We do that here on How-To Geek, in fact: when you visit our site for the first time, we display a one-time message asking if you’d like to sign up to our newsletter. If you decline this message, we won’t ask you to subscribe to the newsletter again for an entire year. We achieve that by storing a cookie on your system. But if you clear your cookies every day, you’ll see that overlay every day. In this case, the cookie is actually intended to stop the site from being intrusive. Many, many other websites do similar things. Websites based in Europe, for example, often show cookie warnings when you visit them the first time. To hide the message so you don’t see it again, the website has to set a cookie in your browser. If you clear cookies—or prevent websites from setting cookies in the first place—you’ll see that cookie warning message each time you visit the site. These are just a few examples, but you’ll run into repeated subscription, welcome, and warning messages on many different websites if you make clearing your cookies a habit. This is what cookies are designed for. They allow websites to store tiny bits of data in your web browser and remember various preferences between your visits. If you clear your cookies, you’ll lose your login state and you’ll have to sign back into that account and all the other accounts you use. If you clear your cookies regularly, you’ll find you have to sign into your accounts a lot more often than most people. You can mitigate this annoyance a bit by using a good password manager that fills out your login credentials for you, but it can still be irritating. And it gets even more annoying if you’re using two-factor authentication to protect your accounts, which you should. You’ll have to sign into your account with your username and password and then provide a two-factor authentication code after every time you clear your cookies. And who wants to do that? Websites like your bank or credit card company may ask you to answer additional security questions when you try to log in after clearing your cookies, too. They can’t remember you’ve previously signed in from your browser if you clear your cookies (that’s what happens when you select options like “Don’t ask again on this computer”), so you’ll find yourself with longer login processes. Yes, cookies are also used to target ads based on your browsing activity. That’s why you might see ads for a product you were looking at on Amazon after browsing to another website, for example. But cookies aren’t just something used to track your browsing and advertise to you. They’re an important feature websites rely on. If you’re going to disable cookies entirely or regularly clear them, you’ll run into all kinds of annoyances all across the web. Whether that’s worth it is up to you.